Hi Silver! Just checking in on the kadurung request to see if it will still come. I can wait a long time because I know you'll do a wonderful job. I just want to make sure it's not forgotten. Thanks! HAPPY EASTER!!!!! enjoy yer easter day! ^.^ just giving a shout out to all my friends and great artists on FAC! The chap is finally up!! !YAY FOR ME!!! !Oh I love your pictures for my story.You can suprise me this time!How bout every 5 chapters you can draw whatever you want?Well cya round.Get back to me! Your work is amazing. *favs artist* I can't believe you don't have a million comments on your stuff. Really! Keep it up. and i thought that there's no more great artist with excellent talent on this site but now i found one here! (^__^) it's u! by looking through ur 1st page,gosh u have really amazing skills in both drawing and coloring! bravo! 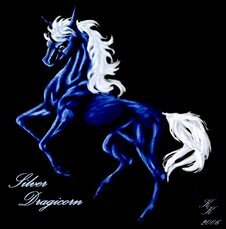 ur horses and dragons are drawn in the most perfect way and UR THE BEST! keep drawing! love all of ur piccies!